A friend recommended I give The Humans a read, so I thought I’d give it a try. Written by Matt Haig, The Humans is about a mathematician who is killed and replicated by an alien. The alien must eradicate anyone the mathematician shared vital information with concerning a breakthrough concerning prime numbers. The alien’s race believes this revelation will advance humanity beyond its means and lead to utter destruction. What makes this interesting plot all the more so is that we are told the story from the alien’s vantage point. Funny, endearing, revolting, and oftentimes revealing, The Humans forces us to take a good long look at ourselves and find both the horror and beauty inherent within our species. In fact, the alien itself learns to love humanity and becomes quite entangled and invested within the life of the mathematician it killed. I won’t spoil too much, but suffice it to say, the alien is ultimately far better at being human than the mathematician ever was. Each chapter is rather short and the book is a very fast read. I enjoyed it because of the unique narrative style, though I must admit that the point of view also proved a disservice because I never really connected to the alien. Of course, I can only presume the author intended this to be the case – after all, how much should we connect to a creature existing in a plane of reality beyond our comprehension? 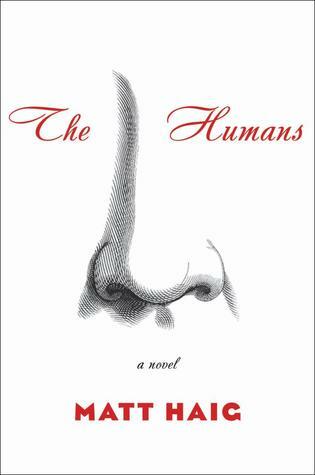 I would certainly recommend The Humans for fans of science fiction, math, and even philosophy. This entry was posted in Book Reviews and tagged arts, Book Review, books, entertainment, fiction, math, matt haig, Novel, philosophy, review, science fiction, the humans.